When We Were Orphans is great for any fan of history, of literary fiction, of mystery, or for anyone with a curious mind. Perhaps my favorite novel. "Goes much further than even The Remains of the Day in its examination of the roles we've had handed to us... His fullest achievement yet." "You seldom read a novel that so convinces you it is extending the possibilities of fiction." "Poignant... 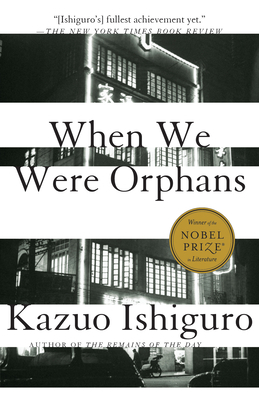 When We Were Orphans may well be Ishiguro's most capacious book so far." "[A]n imaginative work of surpassing intelligence and taste." "With his characteristic finesse, Mr. Ishiguro infuses what seems like a classic adventure story with an ineffable tinge of strangeness."